It’s the middle of the night, and the parking lot at Bristol International Speedway in Tennessee is filled with cars. People are camping out in the cars or on the asphalt in tents, cooking up pulled pork in portable smokers, waiting for dawn. They’re not waiting in line for tickets to a NASCAR race, or a Jason Aldean concert. They’re waiting for health care. 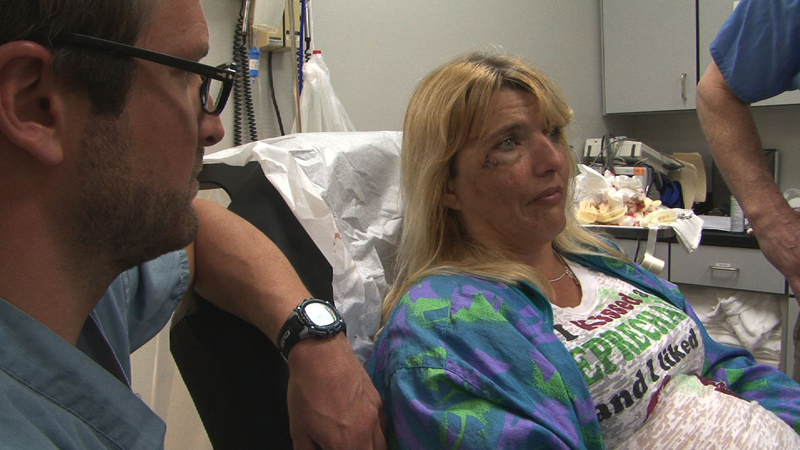 The powerful new documentary “Remote Area Medical,” now out on DVD and VOD, tells the story of American’s broken health-care system — and the urgent need to fix it — through one weekend in one part of rural America. 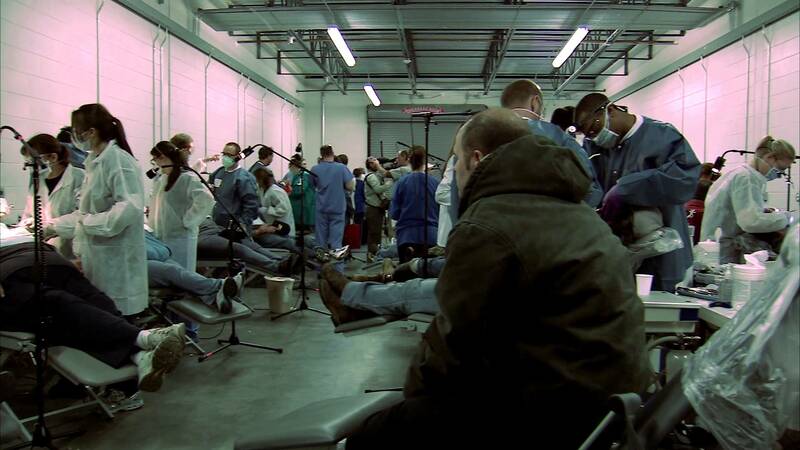 No statistics, no talking-heads interviews — filmmakers Jeff Reichert and Farihah Zaman just give us a front-row seat as to the physical and emotional damage that is caused in a community where nobody can afford to see a doctor — and how easy it is to rectify that. The “Remote Area Medical” unit was originally conceived by British philanthropist Stan Brock, who used to travel the world as an assistant on “Mutual of Omaha’s Wild Kingdom.” When he saw how little health care was available in third-world countries, he conceived RAM in 1985 to bring doctors, dentists and equipment to remote parts of South America and Africa — for free. Only now, the focus of RAM has shifted to America, where millions have lived without health care for most of their lives. We watch the RAM unit treat hundreds of people a day, low-income people with rotten teeth, terrible eyesight, hacking smoker’s coughs, and, of course, morbid obesity. It might be tempting to put blame on these people for their own bad choices — couldn’t the lady who finds out she has a tumor in her lungs at least wait until she leaves the stadium before lighting up? — but “Remote Area Medical” resolutely treats them with respect and decency. It’s not their fault they’re in such bad health, the film quietly argues — it’s all of ours, for denying them affordable health care and not educating them on the consequences of their bad choices. We see both the direct and indirect effects of poor health — one woman who has gone without glasses for years because she doesn’t have vision care drives herself back and forth to her job at McDonald’s, even though she can barely see. (“I can see when I drive,” she explains.) Another woman with a mouthful of bad teeth is plagued with low self-esteem, and hasn’t even kissed her husband in over a year. To see these people finally get the care they need is heartening, and makes a powerful argument for the Affordable Care Act. But, more broadly, “Remote Area Medical’ expresses quiet fury at the misguided idea that the American ideals of self-reliance and independence should extend to “toughing it out” without proper health care. The freedom to get sick and die decades before your time is no freedom at all.